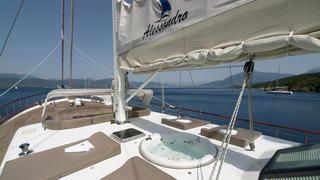 Built in Turkey in 2011, Alessandro is the Owner's third hull built and designed by himself. 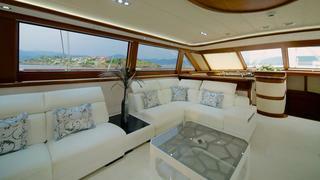 A stunning sailing yacht, her interiors are bright and open giving guests a feeling of space and relaxation. 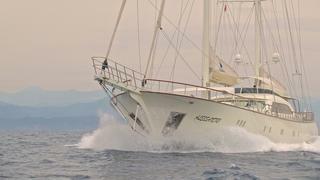 The Owner grew up with a background in yachting and restaurants and has opened his own shipyard, Ruth Yacht. 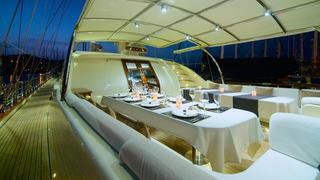 Yachting is a family business thus the standard onboard Alessandro is second to none. 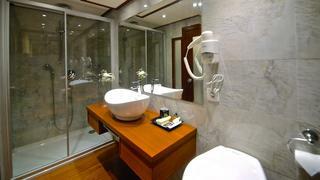 Accommodation is for ten guests in five luxurious cabins - four double and one twin. 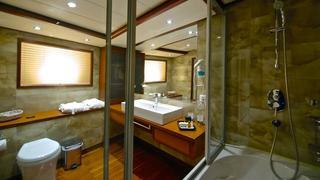 The Master cabin is full beam with a large ensuite including a bathtub. 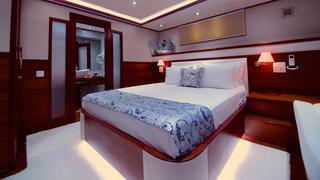 The three double cabins provide plenty of space for guests with wardrobes, storage area and ensuites. 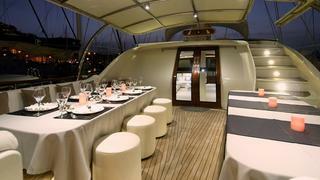 The twin cabin is large enough to accommodate for either two adults or children and is situated close to the Master Cabin. 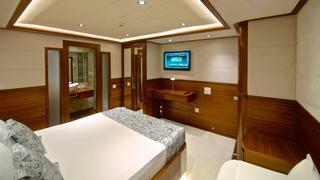 All cabins have air conditioning, LCD TVS, Music system and a minibar. 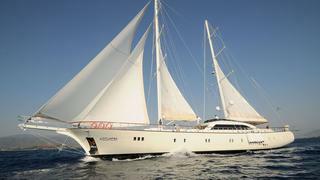 The exterior deck space on Alessandro has been well thought out and there is a large seating area on the aft deck with bimini coverage and two large tables to accommodate for dining. 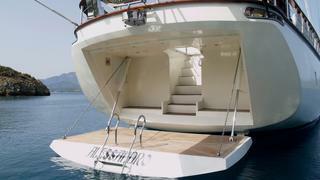 A deck jacuzzi is intelligently placed on the foredeck providing privacy for guests. 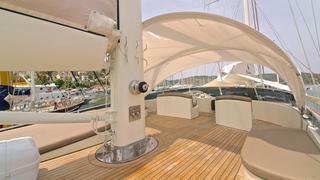 There is also plenty of sunbathing areas on both the flydeck and foredeck and a large swimming platform with steps leading down from the aft. 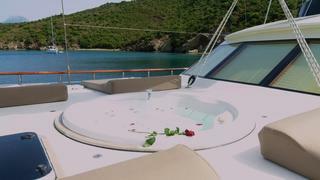 The 5 crew, provide a top level service for guests and strive to give everyone onboard unforgettable memories of a fantastic holiday. 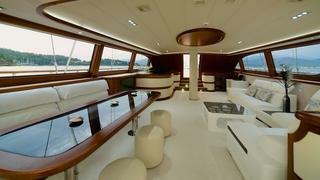 Alessandro is a yacht with impeccable class.